A lovely way to treasure your child's first christmas. 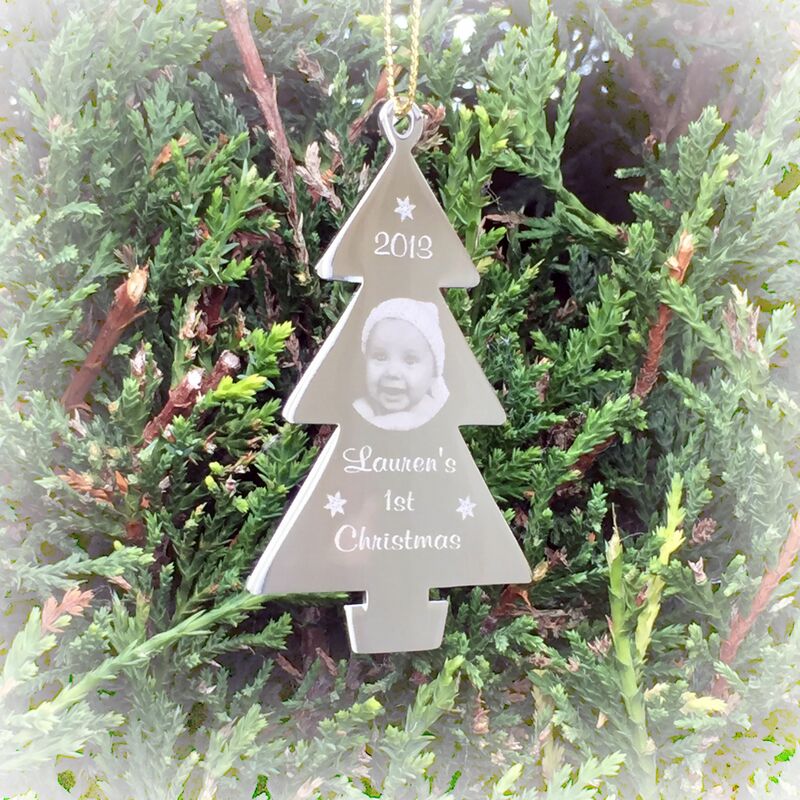 A gorgeous keepsake tree decoration created for you with your child's photo engraved onto our super shiny stainless steel christmas tree. This will look beautiful on your own tree, but will also make a cherished gift for nan's and grandad's, auntie's and uncles. 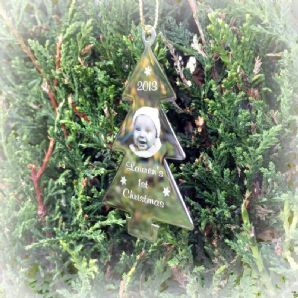 A lovely way to treasure your child's first christmas and each year when the christmas tree is unpacked you will have a lovely reminder of your child's first christmas. 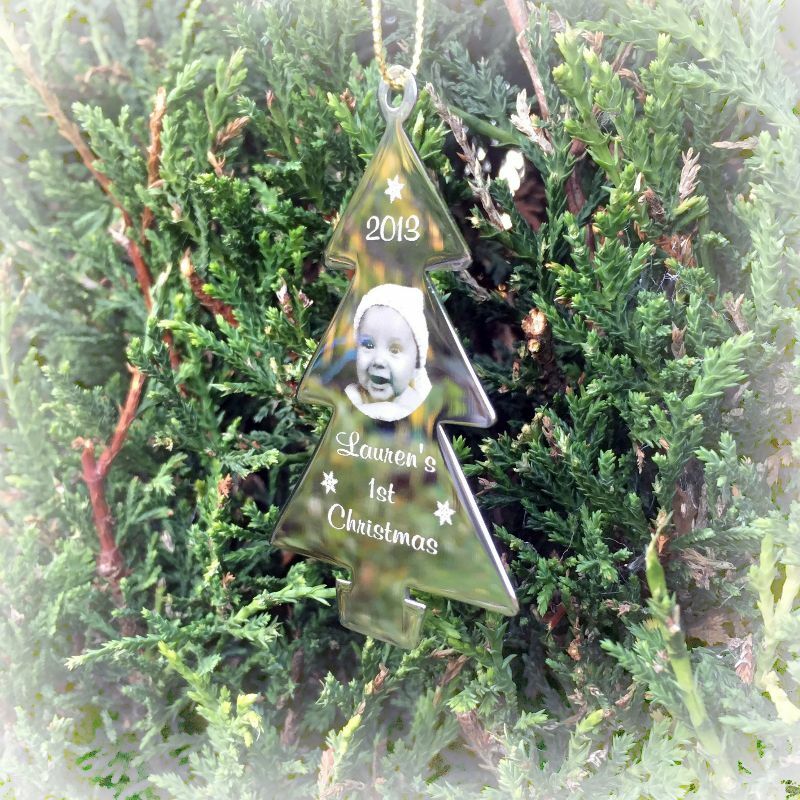 We will engrave the year, and your child's name along with their photo onto one side of the decoration. We will edit and crop your image in order to obtain the best possible engraving result. For a limited time we will also engrave the rear side of the decoration with the text of your choice for free. If you would like something a little different to your own specifications, then please send us an email with your request and we will do our best to assist you. A lot of the products are design suggestions, but we are always more than willing to help assist with your own design. Our contact email address is info@jacknverasgifts.co.uk.